Since 2001, the annual Father of the Year Awards gala has been a bright spot on Charlotte's social calendar. Presented by the Father's Day Council, the fundraiser for the American Diabetes Association honors top businessmen who are also outstanding fathers. Honorees over the past 16 years include Brett Carter, Jesse Cureton, Al de Molina, Rob Engel, Carlos Evans, Alvaro Gurdian, Michael Marsicano, Felix Sabates and Richard Vinroot. Dashing dads: The honorees make their entrance in style. This year's honorees were Kieth Cockrell of Bank of America; Vinay Patel of SREE Hotels; and Chad Utermark of Nucor. They were celebrated during a reception, dinner and awards ceremony at the Westin attended by their families, friends, business associates and supporters of the American Diabetes Association. The Master of Ceremonies for the black tie optional evening was WBTV anchor Jamie Boll. Kieth Cockrell with one of the most important women in his life, his beloved former teacher and mentor Juanita Cooke. Vinay Patel surrounded by his family. Chad Utermark accepts his award. Dianne Roth, Jamie Boll and Pat Higgins. The event was also a toast to Dianne Roth, director of development for the American Diabetes Association Central Carolinas, who retired a few weeks after the fundraiser following 21 years with the nonprofit. She spearheaded the successful event over the years and in the process won the admiration and friendship of many Charlotte's most prominent businessmen and their families. Dianne Roth with her honorary Father of the Year Award. She was surprised by a wonderful tribute given by our Father’s Day Council and the past honorees. Co-chair Pat Phillips presented her with an honorary Father of the Year Award and made the announcement that $25,000 for the American Diabetes Association was raised in honor. "Being a part of this prestigious group is the greatest professional honor I could have ever imagined, and I am truly touched," said Dianne. "It’s been a privilege to have worked for such an important organization these past 21 years, and most of all to have had the opportunity to get to know so many wonderful business leaders, fathers, and their families in the process. Many have become good friends. I am so blessed to have been in a position to meet wonderful, caring people while at the same time working to support the American Diabetes Association." Future Fathers of the Year? Update your office with a masculine vibe from one of these stylish chairs. Flynn mid-century chair in blue from the Better Homes & Gardens Collection, $169, Walmart. Woodland Imports leather and metal papasan chair in dark brown, $338, Wayfair. 1970s French leather and iron director's chair, $350, Restoration Hardware. 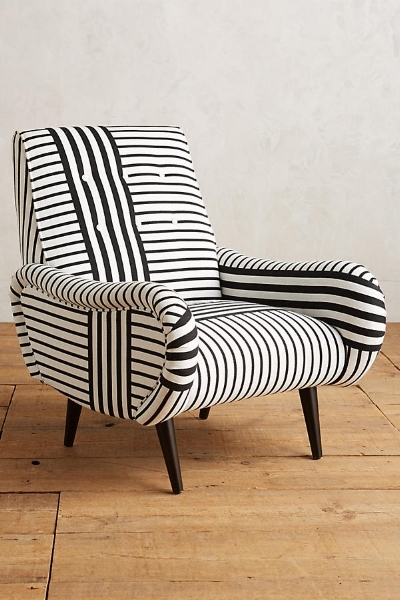 Banded stripe Losange chair handmade in the USA, $998, Anthropologie. New England Patriots star quarterback Tom Brady has won multiple Super Bowls. Now he's hoping to compete with meal kit subscription plans including Blue Apron and Hello Fresh with his own brand of dinners through the delivery service Purple Carrot. His TB12 Performance Meals are advertised as being able to help athletes and active adults achieve and reach their peak performance. The healthy and organic plant-based dinners are inspired by Brady's notoriously fanatic diet. The dinners claim to be high in protein, 100 percent plant-based, gluten-free, with limited refined sugars and soy, and free of highly processed ingredients. The average prep and cook time on each dinner is 35 minutes. Each week's offerings are posted online. This week, it's Green Curry with Kaffir Lime and Steamed Vegetables; Japanese Lamb Fritters with Millet Tabbouleh and Lemon Yogurt; and Cauliflower Steaks with Braised Cabbage and Dijon Sauce. Yum or yuck? You decide. One thing is clear: Landing a supermodel wife (Brady is married to Brazilian bombshell Gisele) is not guaranteed. Each meal is two servings and comes with step-by-step instructions. To have three of the meals delivered to your door costs $78 per week (which averages out to $13 per serving). Buckskin & Mane's grooming products for men, including the popular Camo Beard Oil, are handcrafted in Charlotte using all-natural ingredients. Buckskin & Mane, a line of high-quality, all-natural body and hair care products for men, was founded by three military veterans: Robert Mason, Luke "Buck" Yerrick and Lukas Biebinger. They are so passionate about supporting veterans that it's built into their business model: a portion of sales are donated to the nonprofit Charlotte Bridge Home, which helps Charlotte-area veterans transition home after military service. Mason says making premium products that customers love combined with the discipline and teamwork he and his business partners learned in the military have made their business successful. "We wake up early every day and hold each other accountable to complete our tasks and goals," he says. Buckskin & Mane products are “mancrafted" in Charlotte from naturally derived, organic raw ingredients. Find them at the Sporting Gent (2848 Selwyn Avenue, 704-896-5600); Jeffre Scott Apothecary (607 Providence Road, 704-339-0010); CLT Find inside 7th Street Public Market (224 E. Seventh Street, 704-230-4346); and Coco and the Director inside the lobby of the Marriott City Center uptown, 100 W. Trade Street, 704-353-6003. Or order products online at www.buckskinmane.com. Among the line’s most popular products are the Sunflower Seed Hydrating Shave Cream ($19); Aspen Bark Oil-Free Moisturizer ($19); 3-in-1 Shampoo, Conditioner and Body Wash with Fresh Hemp and Omega-3 ($17); and the Camo Beard Oil ($19).